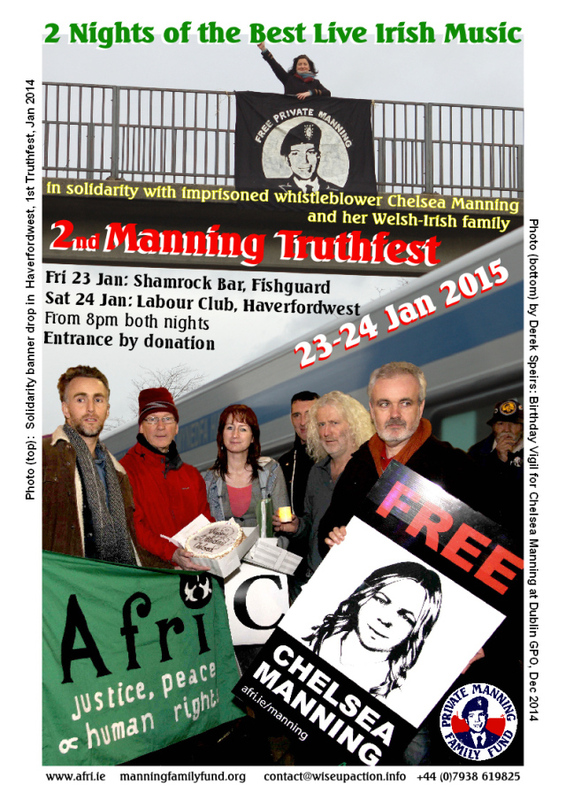 Remember the Manning Truthfest in January 2014? Well, it’s back! 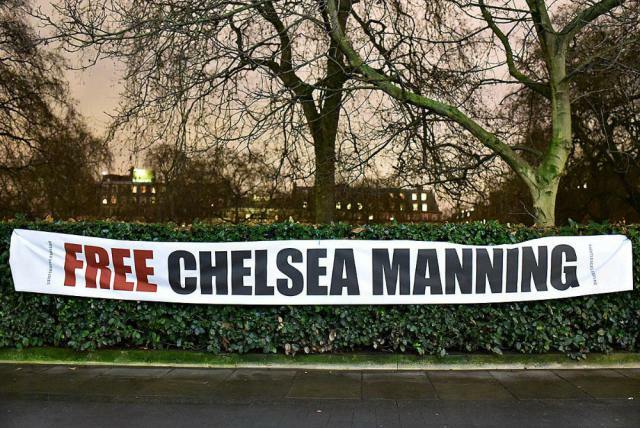 A troupe of Irish musicians, actors and activists supported by Afri will travel across the Irish sea to Pembrokeshire on 23rd January for a solidarity weekend for Chelsea Manning and her Welsh-Irish family. 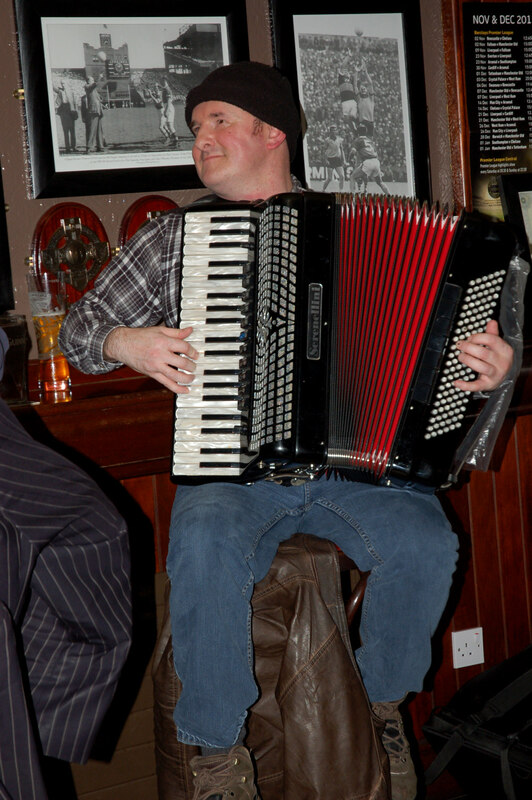 Musicians Joe Black, RoJ Whelan, Brian Fleming, Paul O’Toole, Robbie Sinnott and more will be performing live for two nights: at the Shamrock Bar in Fishguard on Friday 23rd from 8pm and at the Labour Club in Haverfordwest on Saturday 24th January, also from 8pm. Entrance by donation on the door both nights. Join us to celebrate Chelsea Manning’s life and courage and to call for her freedom.